Act 89 of 2018, which I co-sponsored, will establish the Kinship Caregiver Navigator Program, an informational resource that would operate both as a website and a toll-free hotline. 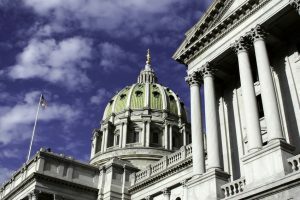 The website will offer information on support and services available, and a specially trained navigator will provide support and guidance, and serve as a mediator to establish relationships between kinship caregivers and government agencies. We had a great turnout for our Concealed Carry Seminar last week in Emmaus. 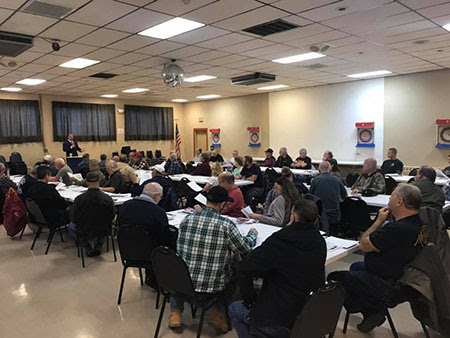 My thanks to everyone who attended and to our presenter, Attorney Joshua Prince, who did a good job explaining Pennsylvania firearms laws and answering questions. 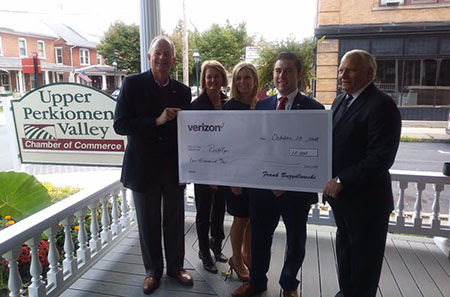 Congratulations to the Upper Perkiomen Chamber of Commerce on receiving this big check from Verizon. I’m proud to help be a part! 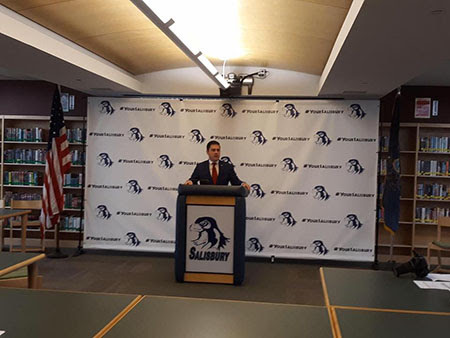 On Monday, I had the pleasure of speaking at Salisbury High School. The National Association of School Resource Officers has recognized Salisbury as one of only nine model school resource officer programs nationwide. Congratulations! What a parade! 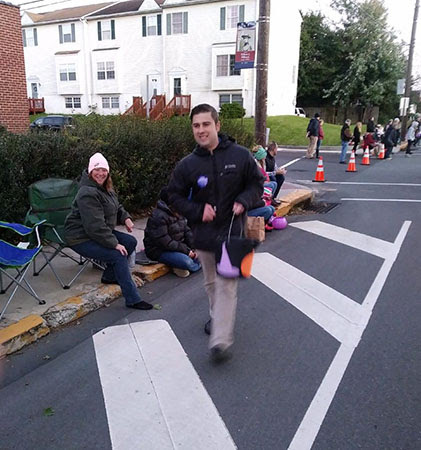 I enjoyed walking all 3 miles in the Upper Perk Halloween Parade last weekend. Free assistance is available to area veterans and their families at my district office in Coopersburg on Friday, Nov. 2. 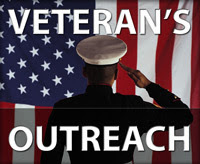 A veterans outreach specialist from the American Legion will be available from 10 a.m. to 2 p.m. to answer questions about veteran benefits and help file claims. Please call (610) 282-0160 to schedule an appointment. The office is located at 21 N. Main Street, Unit 9, in the borough.